I haven’t had a chance to do much more diagnostic work on why line #2 is still playing up, but I’ve found & fixed at least one potential problem. 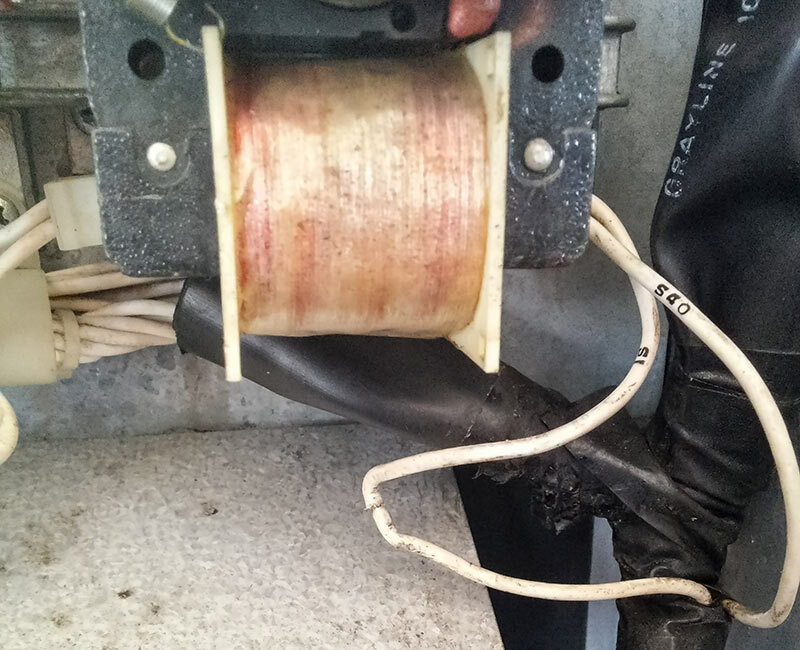 A small nick in the insulation was found on one of the motor grounding connectors by line #1 and it could’ve been shorting to ground. As these are all daisy-chained and it’s right next to line #2, it’s possible this could’ve caused it (or at least contributed to it), but I don’t think it’s likely to explain everything. As always, someone who isn’t me is very, very welcome to start tracing wires & inspecting them for damages because there’s only so many hours per month I can devote to volunteering for the hackerspace - the keys are in the server room. Another new interesting flavour is in the random line- Coffee! 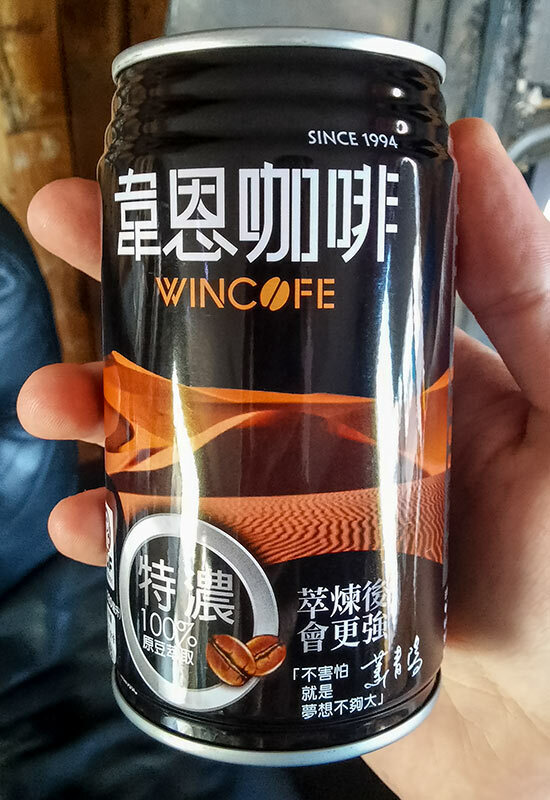 Or should I say, “WINCOFE”. 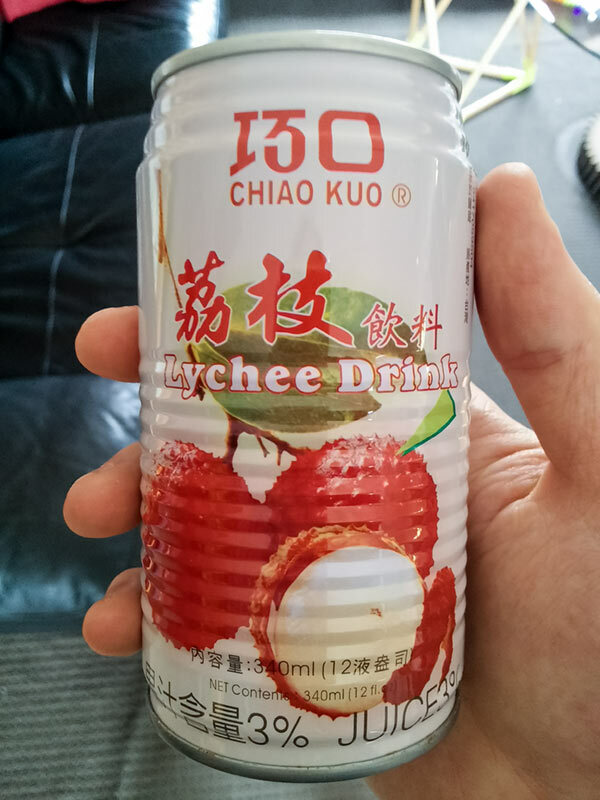 It’s made by Hey-Song Corporation, comes from Taiwain, is “strong”, contains a small amount of Green Tea Extract mixed in, should probably have caffeine & dairy warnings on it, and probably tastes better if heated to 55’C instead of drinking cold. Don’t ask me any questions beyond that though because I can’t read 95% of the can’s writing. I’m up late due to anxiety attacks, so I thought I might as well try to be productive until the sedatives kick in. Apologies for not having my usual playful candour. Two new random cans have been stocked in the machine since my last update. 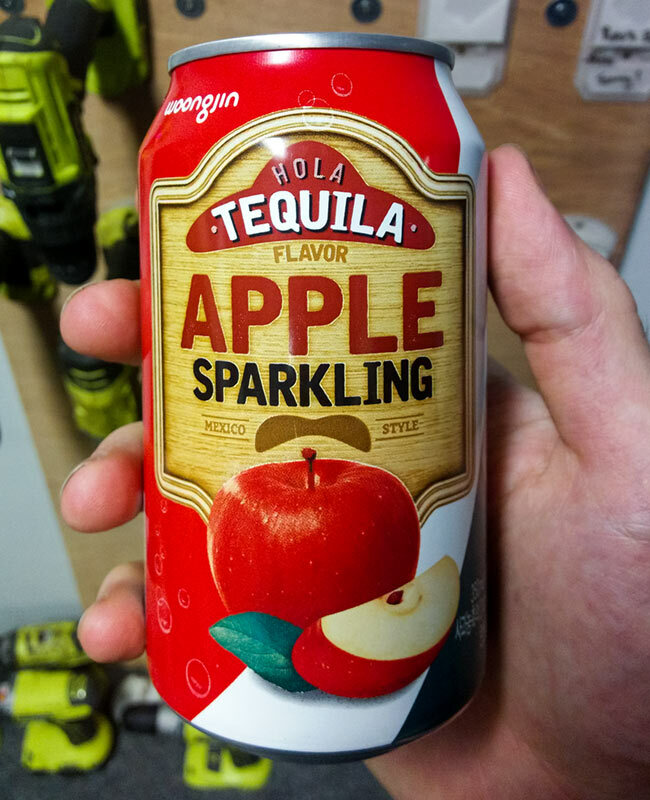 The first is “Hola Tequila Sparkling Apple”. Coming from Korea, this one has non-alcoholic Tequila flavour in it, but don’t ask me what it tastes like. I don’t try 'em, I just buy 'em! The other one in the machine is a Lychee Drink. This one’s Taiwanese. Y’know, just in case you thought I wasn’t serious about trying to get drinks from as many different places as possible for you all.